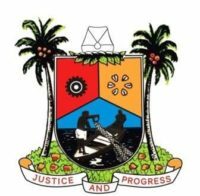 Lagos State Governor, Mr. Akinwunmi Ambode (middle); Speaker, Lagos House of Assembly, Rt. Hon. Mudashiru Obasa (2nd right); member of the House, Hon. Bayo Osinowo (right); Deputy Speaker, Hon. Wasiu Sanni Eshinlokun (2nd left) and Deputy Majority Leader, Hon. 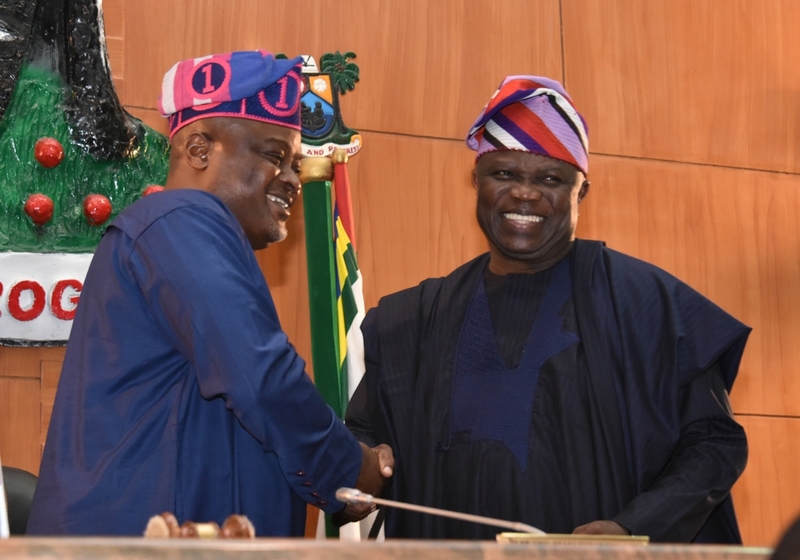 Jimoh Wahab (left) during the presentation of the Y2019 Budget to the House, at the Assembly Complex, Alausa, Ikeja, on Tuesday, February 5, 2019. 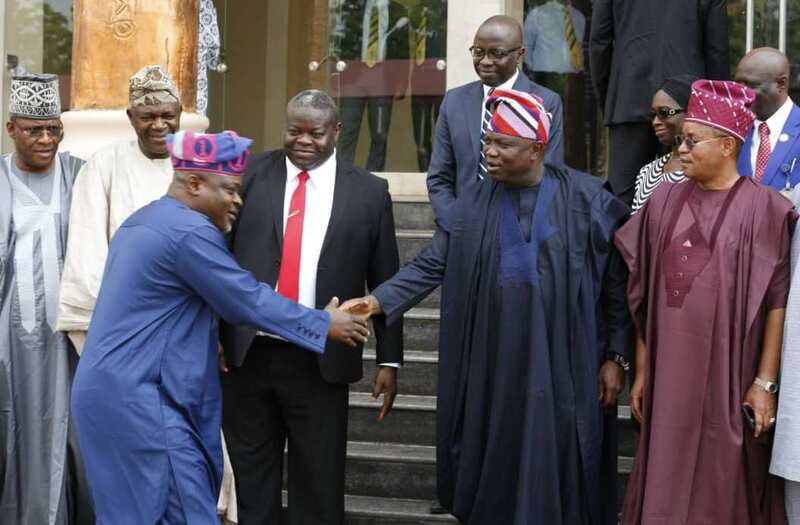 Lagos State Governor, Mr. Akinwunmi Ambode (2nd right), with the Speaker, Lagos House of Assembly, Rt. Hon. Mudashiru Obasa (left); Deputy Speaker, Hon. Wasiu Sanni Eshinlokun (right); Deputy Majority Leader, Hon. 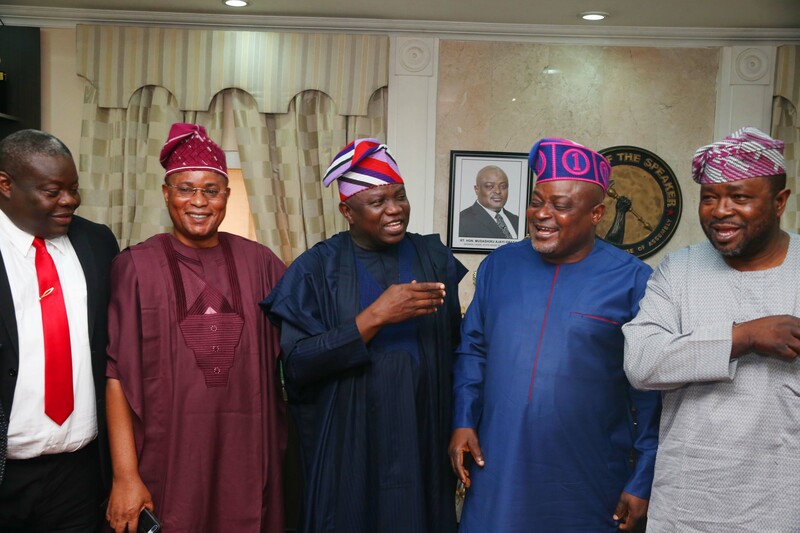 Jimoh Wahab (4th left); Chief Whip, Hon. Rotimi Abiru (3rd left) and member of the House, Hon. 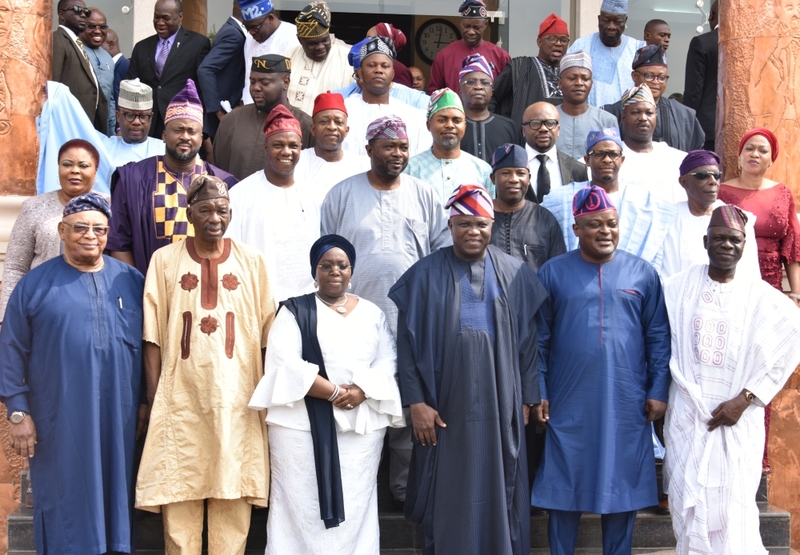 Tunde Buraimoh (2nd left) shortly after the presentation of the Y2019 Budget to the House, at the Assembly Complex, Alausa, Ikeja, on Tuesday, February 5, 2019. With them are Commissioner for Finance, Mr. Akinyemi Ashade (3rd right behind), Accountant General/Permanent Secretary, State Treasury Office, Mrs. Abimbola Shukurat Umar (2nd right behind) and Permanent Secretary, Ministry of Economic Planning and Budget, Mr. Abayomi Kadiri (right behind).